Kaylee Browne discovered a magic key in a new bookstore in town. The key takes her to the faraway lands of The Five Realms, where she begins a quest to find the maker of the key so she can learn how to get home… then to her surprise, a completely new quest to save someone very dear to her. Along the way, she encounters fairies, giant cats, flying horses, a castle, a witch and many other magical creatures including a dragon. 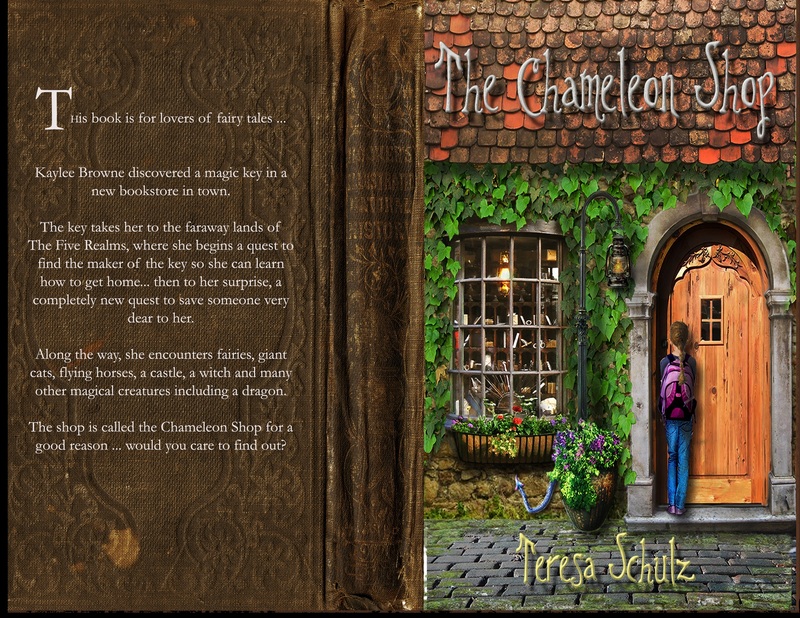 The shop is called the Chameleon Shop for a good reason … would you care to find out?